Sunday, February 3 will be an amazing day full of eating all kinds of fried foods and drinking every kind of beer in existence. 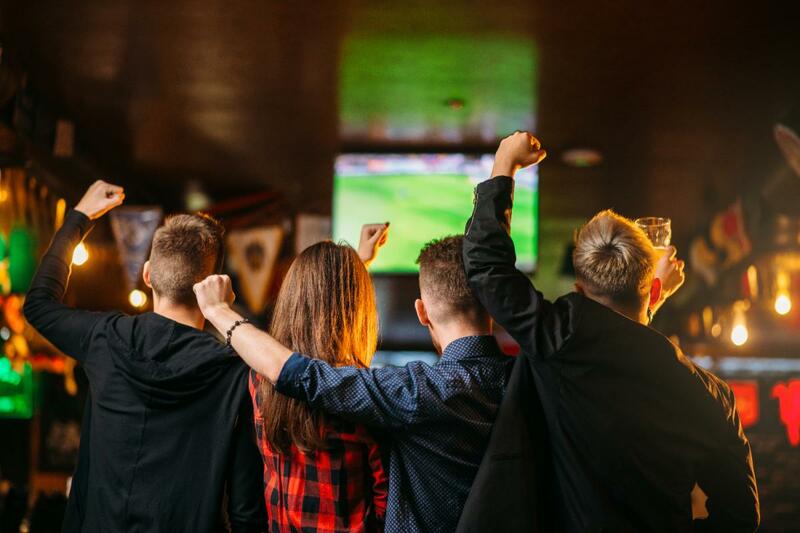 There are plenty of places to do just that ( and watch the game, too), so check out our complete list of the best parties in the St. Petersburg and Clearwater area where you can root for your team. Boasting to be the largest Big Game watch party in the Tampa Bay area, Ferg's Sports Bar in St. Petersburg is throwing their annual extravaganza. To get the VIP experience upstairs complete with raffles, surround sound, open bar and a buffet, grab a ticket for $50. This is the event of the year, so make sure you don’t miss out! Throw on your team’s jersey to compete in the best-dressed competition at this party! Moore Eventful Event Hall in Clearwater is throwing this watch party full of food, games, prizes, and a cash bar. The only other price you pay is $5 for food at the start, so there’s no reason to say no to this event. Ge your tickets now while they last! At Overtime Sports Bar, the party goes beyond the basic wings and beer by hosting a chili cook off, kicking off before the Big Game at 5 p.m. If you're looking to join the competition, you could win as much as $50 Overtime Gift Card. If cooking isn’t your thing, you can still enter into giveaways and possibly go home with a 50” TV! Get to the bar at 6 p.m. to grab a spot and join in on the festivities at this watch party in Clearwater. If Downtown St. Petersburg is more your speed, head to 1st Avenue for a block party stretching through the streets. This is the perfect social event for the night, and the Big Game will be broadcasted on over 70 TVs. There will also be a $20 all-you-can-drink Miller Lite special as well as other discounts on food, Jack Daniels, and more. If you're the athletic type, compete in the QB Toss Challenge for prizes as big as Big Screen TV and a Yeti cooler. For an all-weekend event, head to The Club at Treasure Island just north of St. Pete Beach for a weekend full of lounging by the pool, drinking cocktails, and, of course, watching the Big Game. Saturday is full of fun events such as a luau, pig roast, and a party until the late hours of night. The next day will not disappoint, either, as they have scheduled a pregame tailgate to get you in the mood for the Big Game, which will be shown on a 13-foot screen. The total cost for all of these events is $30, so you can't pass up on this opportunity! Wherever you find yourself this Sunday, you're bound to have a blast at these Big Game watch parties in St. Petersburg and Clearwater. Find even more events in the St. Petersburg and Clearwater by registering on 727area, your free guide to everything local.